Virginia and Maryland area residents routinely experience below freezing temperatures during the long winter months. Rapid drops in temperature and poor pipe insulation can result in frozen water pipes. When frozen pipes lead to bursting pipes, severe damage could be inflicted to your home or business. To prevent getting to that point, call Perry Aire Plumbing and avoid frozen pipes this winter! Call Perry Aire Plumbing at 703-521-2228 for frozen pipe repair services in Arlington Virginia, Washington DC and Maryland! Excellent and proper pipe insulation is essential in preventing frozen pipes. Using heat cables or heat tape around your pipes provides for more extensive protection. We use only top quality heat cables and tape for maximum and complete reliability and effectiveness. 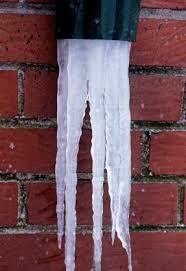 Water pipes that are attached to garden hoses and other outdoor spigots are at a high freezing risk. Shutting off and draining all water leading to the outside faucets is crucial to preventing frozen pipes during the winter. Why should you call Perry Aire Plumbing for frozen pipe repair services?